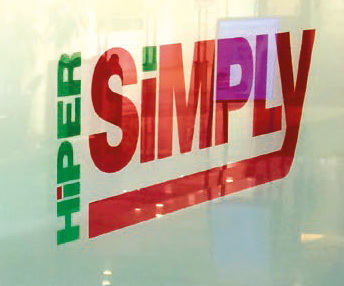 – Simply Market, Simply City, HiperSimply (developed by supermarket giant Group Auchan) and, most recently, Simply Basic. Simply is not only creating new retail centres (currently 132 super- and hyper- markets and 15 gas stations in nine different regions across Spain), it is also pushing the boundaries of energy efficiency and environmental impact, thanks to an ethos founded on sus­tainable growth.Needless-to-say, retail businesses rely heavily upon effective refrigeration systems. 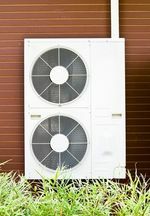 In this sector, regulation is driving the adoption of more environmentally-friendly refrigerants – and Honeywell is responding by offering system designers, OEMs and end users a new generation of ultra-low GWP and more energy efficient refrigerants, based on new Hydro-Fluoro-Olefins (HFO) technology. In the case of Solstice® N40 (R-448A), it is a drop-in replacement for R-404A.Solstice® N40 has been incorporated into the latest Simply store near Zaragoza by system designers Ebrofrío, a company renowned for its forward-thinking and innovative approach. Ebrofrío is a family-run company, employing 30 people, specialising in the design, installation and maintenance of commercial and industrial refrigeration systems. It is a business that thrives on inno­vation and which offers advice to engineers on the impact of regulatory change in the refrigeration sector. The company delivers customised installations and high performance maintenance contracts, offering system architecture that take advantage of the latest advances in materials technology, such as Solstice® N40.In the case of the new 3,500 m2 Simply store in Zaragoza, which opened in December 2014, Ebrofrío designed both the Low Temperature (LT) and Medium Temperature (MT) systems, with Solstice® N40 selected for the LT and R-134a used for the MT (Ebrofrio would likely use Honey­well’s recently commercialised low GWP replacement for R-134a – Solstice® N13 (R-450A) – for future MT applications). The underlying environmental benefits of the refrigeration system proposed by Ebrofrío aligned per­fectly to the value proposition of Simply, which is founded on an end-to-end approach to sustainable business and incorporates goals covering energy efficiency and lower CO2 emissions. Indeed, more than 20 Simply stores already have LED lights on the sales floor as well as refrigeration system heat recovery for winter heating. The stores also target a 20% reduction in water consumption. 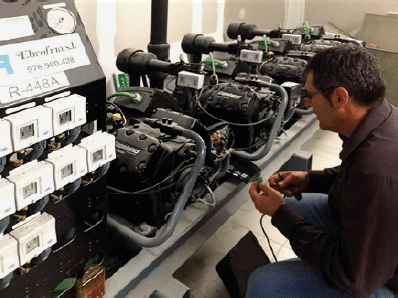 The Ebrofrío design took account of the entire system architecture – digital compressors, EC fans, doors, and, of course, refrigerant technol­ogy – in order to meet refrigeration performance standards while reducing both energy consump­tion and CO2 emissions. • The Low Temperature (LT) “with doors” design enables the system to work comfortably at -30ºC evaporation temperature (or even higher). This, together with the low discharge tempera­ture of Solstice® N40 when compared to other R-404A alternatives, leads Ebrofrío to predict problem-free operation in summer conditions. • The central pack consists of four compressors in the Solstice® N40 LT system. • Eliwell controls nowadays incorporate R-448A. At the time of conversion, settings of R-404A were used, proving the suitability of R-404A for direct retrofitting. During a regular site check four months after opening, the condensing temperature mid-point showed a 1-2°C difference vs the R-404A set­ting in the control, so very similar to R-404A. • Charge: 135 kg of Solstice® N40 (R-448A). • The problem-free retrofit of Solstice® N40 as part of the design architecture ensures ease of working for maintenance technicians. 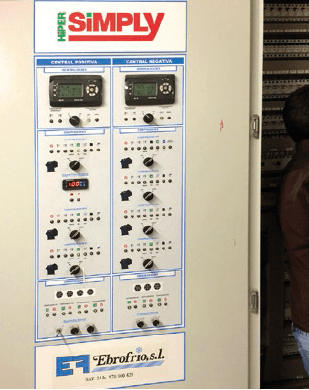 Ebrofrío is currently recording key performance data on system-critical parameters through the Coresense diagnostics tool from Copeland, including tracking energy consumption, in line with their determination to offer optimal solu­tions to their customers. Each year, the world uses more than 90 million tonnes of refrigerant, enough to keep food fresh in 240,000 supermarkets and to cool more than 300,000 commercial buildings. Honeywell is committed to continuing to invest in the development and introduction of new products, to make it easier for commercial and industrial sectors to adopt and use alternatives to higher global warming potential refrigerants. Solstice® N40 is technology proven to deliver outstanding results across key metrics linked to energy efficiency, temperature, cost of oper­ation and overall Coefficient of Performance (COP). Solstice® N40 is 100% non-ozone depleting, possesses low toxicity (ASHRAE class A) and is non-flammable at ambient temperature (ASHRAE class 1), which makes it significantly safer in use than alternatives such as hydrocar­bons and ammonia. Ebrofrío learned about Solstice® N40 last year during a Honeywell and Friogas (Climalife) presentation. For any new similar installations, the company would also consider Solstice® N13 (R-450A) from the Solstice® range of HFO refrigerants for Medium Temperature (MT) applications.